Professional Stainless Steel Wire Whisk 11-7/8". 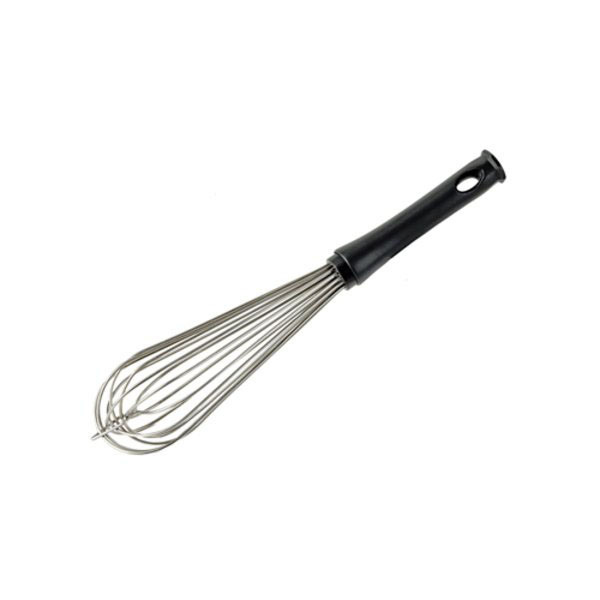 This whisk has an ergonomic, comfortable grip. Its angular handle is made of composite polymer. It is watertight, heat resistant up to 570 degrees Fahrenheit and its top is lipped for easy resting. The wires are made of 18/10 stainless steel, resist extreme tension up to 175 Lbs and won’t twist under pressure.